No job too big...or too small! Our team can help you make the most efficient use of your property’s valuable electrical energy. 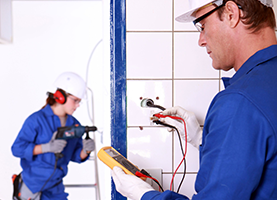 We know how difficult it can be to find a trustworthy electrician. We know that electrician work has gotten a bad rap because a few unscrupulous companies try to rip their customers off. 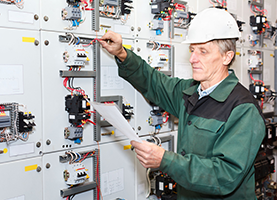 Let us assure you that when you work with us, you will receive nothing but honest and straightforward electrical work. We are JB Electric Service and we consider it an honor to provide electrical contractor work to the communities of Grayson County, TX. Our electrical contractor work is comprehensive. We are able to complete a number of different jobs for your home or commercial business. Our first priority is to give you the most securely wired and safest electrical system for your property. We are electrical experts and we know the best ways to ensure that your property is properly wired. Efficiency is our next goal. We want to make sure that you are not paying a cent more than you have to on your electrical bill. Professionalism is not the only thing that has made us a customer favorite in Grayson County, TX, however. Our service has become so popular due in part to our friendly and helpful service. An electrical emergency can happen at any moment, and when it does, you want to know that you can have a professional electrician on the way to your property immediately. 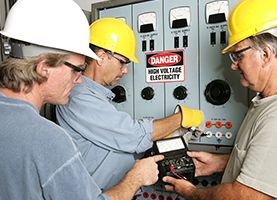 We provide reliable emergency electrical work for the neighborhoods and businesses of Grayson County, TX. We are a down-to-earth electrical company. We are people just like you. We will explain electrical problems, their solutions, and ways to avoid them in the future in plain English. Our slogan is “No job too big . . . or too small!” Get in touch with us now!